What does drop culture mean? A drop is a limited release of merchandise, often as a marketing technique by streetwear fashion brands. Drop culture is the thinking, behavior, and community surrounding it. Thedrop@barneys marks an interesting shift in retail, where department stores are increasingly tapping into the hysteria or ‘hype’ generated by product drop culture, and begs the question: does product drop culture have the potential to pull struggling retail stores back from the brink? Where does drop culture come from? Remember the long lines outside stores when, say, a new phone is being released? Transplant them in front of a high-end fashion boutique and you’ve got drop culture. The drop marketing model first appeared in the 1980s, created by sneaker brands like Nike and Adidas to get sneaker-heads hyped about a release. The premise? On a certain day at a certain time, limited-edition merchandise was dropped (“released”) in a brick-and-mortar store. Once it sold out, it was gone for good. Drop culture grew around the thrill of the drop. The lines, the frantic shopping, the anticipation of future drops, the reselling of out-of-stock goods— these all make up the culture. 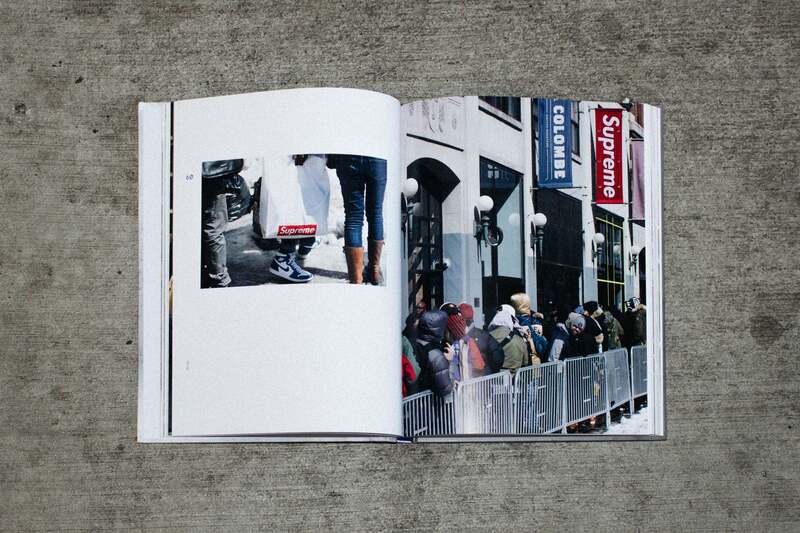 In the 2010s, streetwear brands like Supreme and BAPE revitalized the concept of the drop. 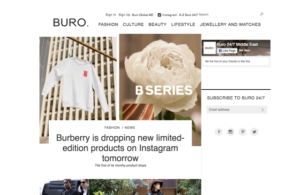 Drop culture was a popular media topic, with publications like The New York Times and Fashionista notably discussing it in 2016–17, not to mention among retail analysts and fashion enthusiasts. Drop culture is most frequently applied to brands that utilize drops to distribute their goods. These companies also tend to have a loyal, passionate consumer base surrounding them, such as Supreme, Nike, Yeezy, and designer brands like Gucci. Every major publication in the fashion world seems to have written an article about how drop culture is changing the retail dynamic. Examples are Hypebeast, Forbes, Highsnobiety, and Grailed. Consumers talk about it, too. Twitter and Reddit are conversation hubs for all things drop culture. 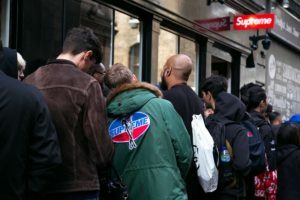 Complaints usually concern missing drops, being unable to cop merchandise, and high resale prices. There’s even a 2018 book by Byron Hawes, aptly called Drop, which photographed drop culture‘s lines and hauls.